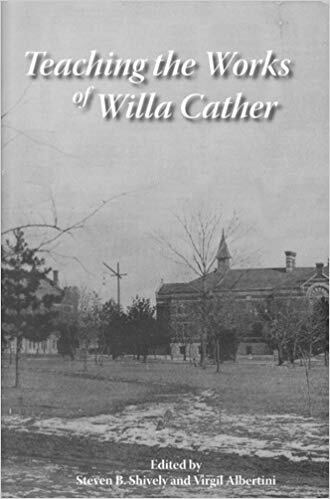 Teaching the Works of Willa Cather features 19 essays offering a wide range of approaches to teaching the novels and short fiction of the American writer Willa Cather. Cather’s books, which are regularly taught in both secondary schools and universities, have long been acknowledged as aesthetic masterpieces. More recently, they have become essential parts of courses that examine many aspects of American life including gender and sexuality, ethnicity, the environment, and the arts. Some of the essays offer strategies for teaching Cather’s literature in specific situations, ranging from freshman composition courses to Native American tribal colleges to a high school for aspiring performing artists. Other essays examine broader cultural issues in Cather’s work: gender identity, the influence of the Victorian Era, connections to Rodin’s sculpture, and her portrayal of race and ethnicity. Additional essays explore the use of media—the Internet, film, television—in teaching Cather’s works. An important essay in the book was written by USU Department of English faculty members Evelyn I. Funda and Susan Andersen; they show how archival material can help students understand Cather as a young woman and a writer.